So I’m fortunate enough to live opposite the lovely Greenhead Park. This pleases me greatly. Greenery offests my garden. This may sound pompous, and it probably is, but having arrived here from Harehills in Leeds, it is a welcome fact. Urbanity and deprivation were defined around there. In fact, it was exactly why we chose to live where we do. So, imagine my horror when the local authority decides to up the ante from community events and music in the bandstand type fodder (I’ve been assured there is power in the bandstand if anyone ever fancies a renegade set with me, but that is another matter) and put a bloody great big pop concert on in our beloved park. I say ours as this is a public park. 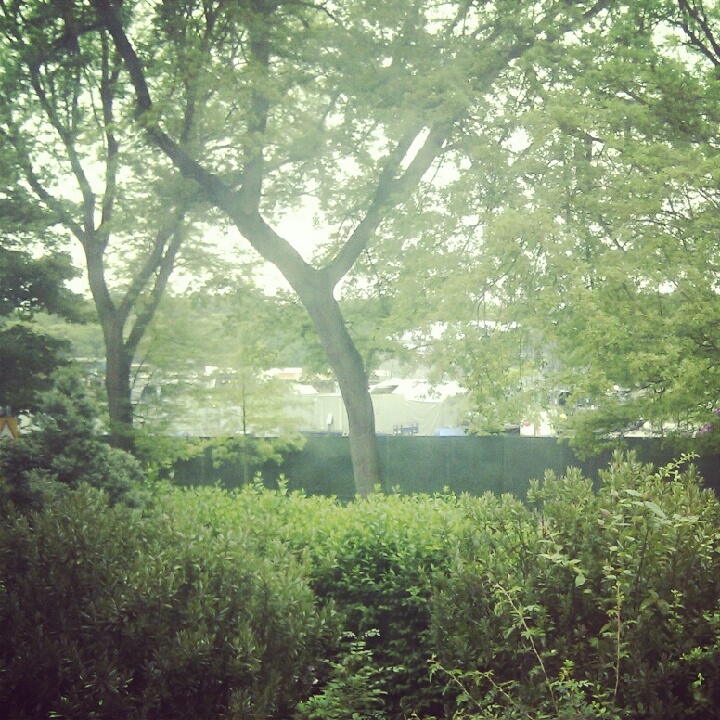 So on top of a bloody great pop-fest of consumption and environmental damage, the park has been closed to the public. Only those forking out a wedge of cash can enter. Now I’m sure the government would love this public/private profiteering racket affair, but I don’t. It is wrong.